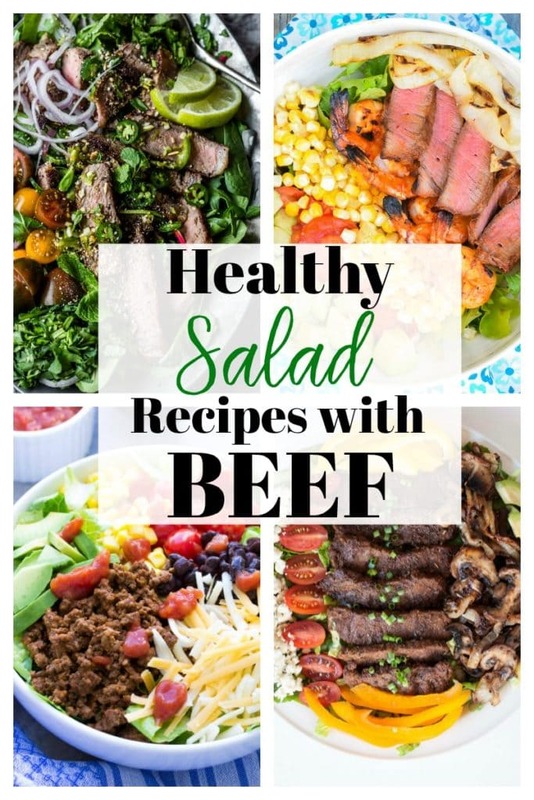 Turn a salad into your meal with this collection of the BEST healthy salad recipes! This collection of salad recipes is anything but boring. 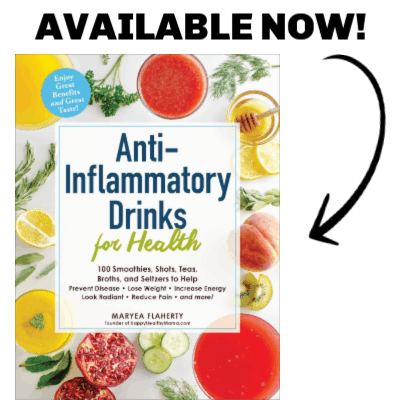 You’ll find whatever it is you’re looking for in this list, whether you need vegan, vegetarian, dairy-free, prefer chicken, meat, or seafood, or are following a gluten-free, Paleo, or Whole30 diet. Bookmark this page so you always have a list of fantastic salad recipes for inspiration! No meat or dairy? No problem! These salad recipes are all vegan and 100% satisfying. These vegetarian salad recipes leave out the meat, but not the flavor. 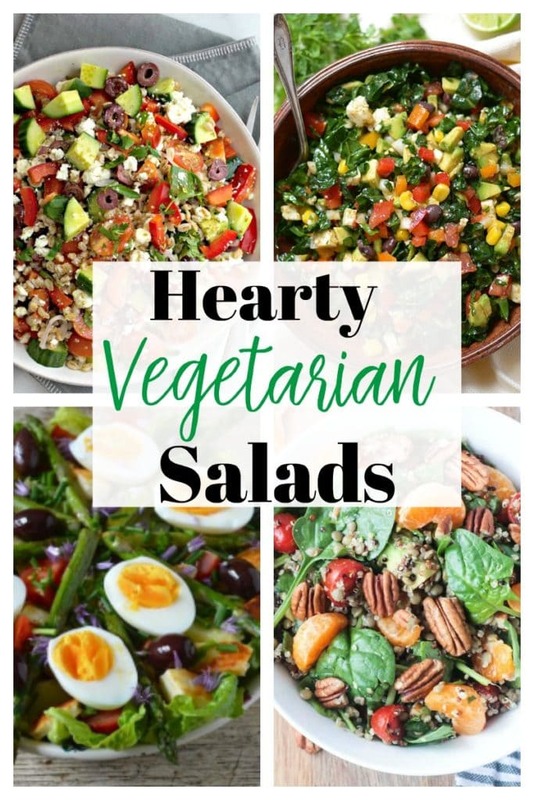 You’ll be surprised at how satisfying a vegetarian salad can be! 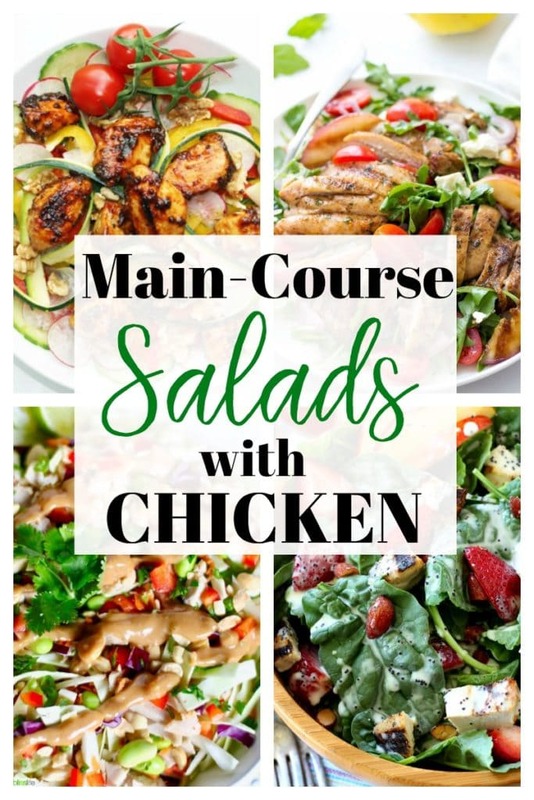 If you like to bulk up your salads with animal protein, this list of salad recipes with chicken or pork is for you! All of these healthy salad recipes make a great lunch or dinner. Beef is full of protein and essential nutrients like iron, zinc, and vitamin B12. Add a small amount to your salad and you’ve got a healthy, filling meal! Instead of chicken or beef, try adding some healthy seafood to your salad! It keeps it light, yet satisfying! 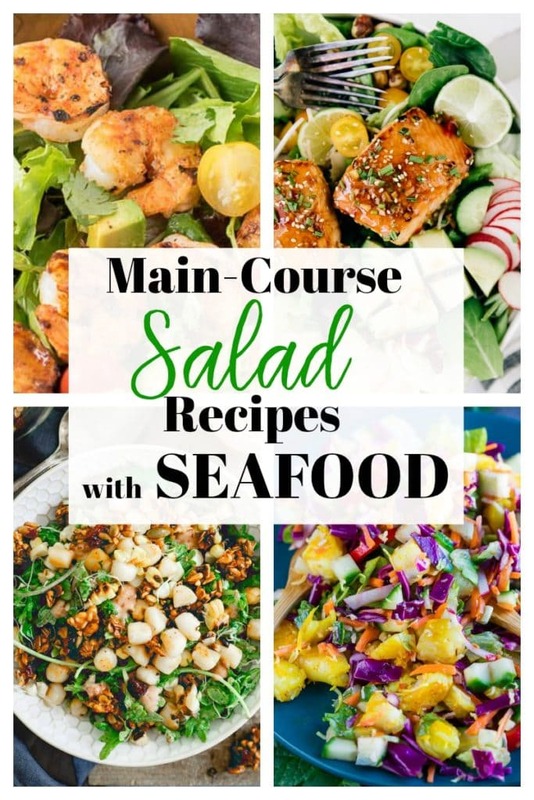 These are some great salad recipes with seafood. 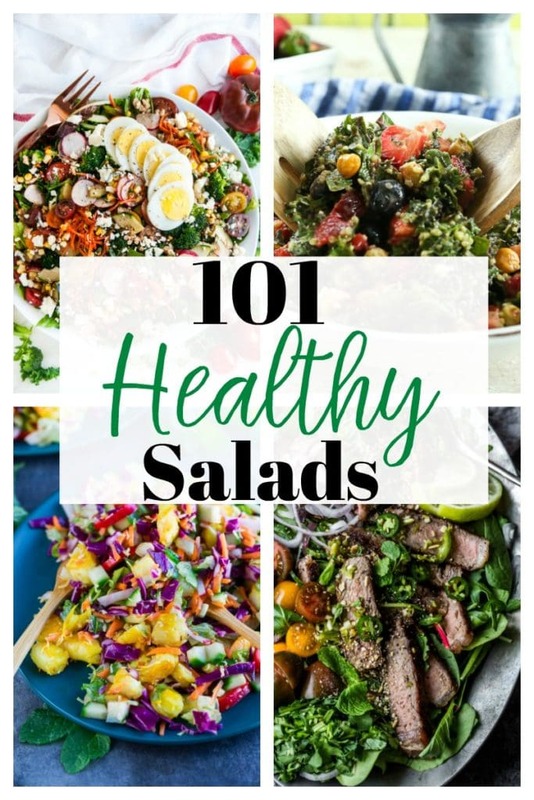 I would love this to be a thorough source of healthy salad recipes. 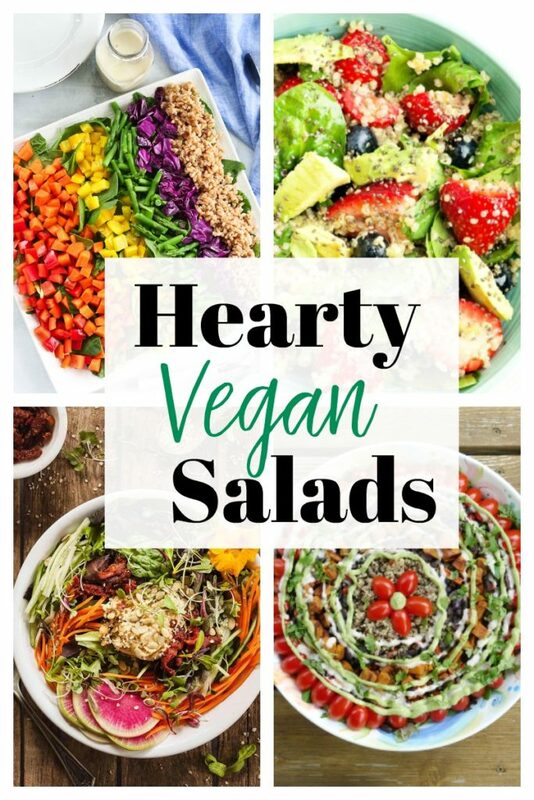 If you have any favorite salad recipes not listed here, please add the links in the comments! What a great list! Thank you for including my Meatball Salad! The food in your menu is great and very attractive, I hope you will have more new dishes to bring to everyone. I love taco salad. It’s just so good. I want to make them all, they all look so delicious. I love that you gave so many options that can fit any type of eater.